Some old treasures deserve to go back to life at your place! Please yourself and rediscover the old refined dishes of our grandmothers to receive guests or charm your guests if you run a B&B! Enjoy the comfort and elegance of old armchairs. The barn is open for your digging ! It is possible to order on site and have your goods shipped if you come by bicycle for example, or if some objects are bulky. Your choice!  Also, twice a year, Lodge & Broc is holding a vintage booth at the Plant Garden Party at the "Chateau du Pin" in Champtocé-sur-Loire (49). Exhibition takes place the last weekend of May and September. A beautiful place to be with friends and family, it is a moment of relaxation guaranteed!